How to identify a Reputable Breeder? 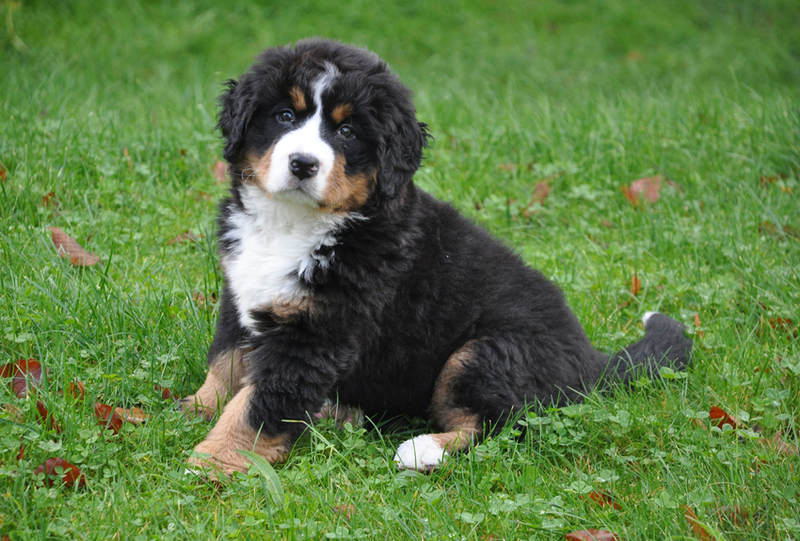 Is a Bernese Mountain Dog right for me? The name "Bernese Mountain Dog" is a rough translation of the German "Berner Sennenhund" which literally means Bernese Alpine Herdman's dog. The original Berner Sennenhund was an all-around farm dog used in Switzerland to guard the farm, drive cows to and from their mountain pastures, and pull carts loaded with milk cans to the dairy or market. Today's Berner is a working dog with a black coat set off by the characteristic markings - white blaze, muzzle, feet, and tail tip, and rich rust eyebrows, cheeks and bands between the black and white on the legs, The general appearance of the Berner is a striking, tri-coloured large dog. He is sturdy and balanced. He is intelligent, strong and agile enough to do draft and droving work for which he was used in the mountainous regions of his origin. Males appear masculine, while females are distinctly feminine. A reputable breeder will generally be affiliated with a breed club such as the Bernese Mountain Dog Club of Ontario (BMDCO). It is unusual for reputable breeders to advertise in newspapers or through puppies for sale websites. Reputable breeders generally have a strong demand for their puppies and would never sell puppies through brokers or a pet store. Publications and websites may contain flashy ads, but that isn't an indication of ethical behaviour nor does it indicate membership with the Canadian Kennel Club (CKC). Breeders you want to get your dog from will want to know if you'll be able to provide a good home. This means they'll want to meet and get to know you before they'll commit to you. It shouldn’t be “where’s your money, here’s your puppy”. A good breeder will try to match you with a pup that fits your life style and situation. For example, if there's already a male dog in the house it would be normal to suggest a female as they'll integrate better. They'll be realistic about what it means to have a Bernese Mountain Dog and won't try to romanticize it in order to make the sale. A good example would be addmitting that puppies don't come house broken and their chewing can be destructive. Reputable breeders will be working to breed dogs that are of sound temperament and health. No breeder has bred the perfect dog or have been able to rid the breed of all of its issues but they should give you the feeling that they're trying. They'll likely provide you with proof of the parents clearances indicating the parents are free of hip and elbow dysplasia, and you should be able to meet some relatives of a perspective pup. Reputable breeders only sell CKC or AKC registered dogs and include a sales contract. The content of the sales agreements can vary but typically they will include clauses of guarantee and spay/neuter, non-breeding language. In addition, most dogs are sold with CKC non-breeding papers. It is unusual for reputable breeders to ask for a down payment. A breeder will want you to come back because you really want one of their puppies and not because you're worried about losing a deposit. Once they've done all they can to breed a healthy puppy their priority will be on finding that pup a good home. Keep in mind that adding a dog to your family is a significant commitment and shouldn't be taken lightly. It's worth taking the time to do your homework to identify a good breeder because the pup you bring home will become a member of your family for (hopefully) the duration of his life. Temperament: A pure bred dog will be consistent with the breed and will allow families to make an informed decision about how they'll fit into their family. Still it needs to be understood that dogs, like people, are individuals and temperaments do vary. The Bernese Mountain Dog Standard states, "The Bernese temperament is one of the breed's strongest assets. Consistent, dependable, with a strong desire to please. Self-confident, alert, good-natured. Attached and loyal to human family; may be aloof or suspicious with strangers, but never sharp or shy." Their strong desire to please means they are happiest when working, and when they're with their people. They may not be appropriate for people who work long hours and can't spend time with them. Generally, the significant caregiver will be their favourite. Training and socialization are needed for them to be well adjusted in the family and household. Size: Bernese Mountain Dogs are considered large dogs and weights of 80 to 120 lbs are not unusual. Males 24.4 - 27.6 inches ( 62 - 70 cm); Females 22.8 - 26 inches (58 - 66 cm). Height is measured at withers. The stocky, well-balanced appearance is considered a must. Coat: The Bernese Moutain Dog's coat is wonderfully soft to touch but if shedding or allergies are an issue, do not get a Bernese Moutain Dog. They need regular (weekly) grooming and have a tendency to matt under their ears. 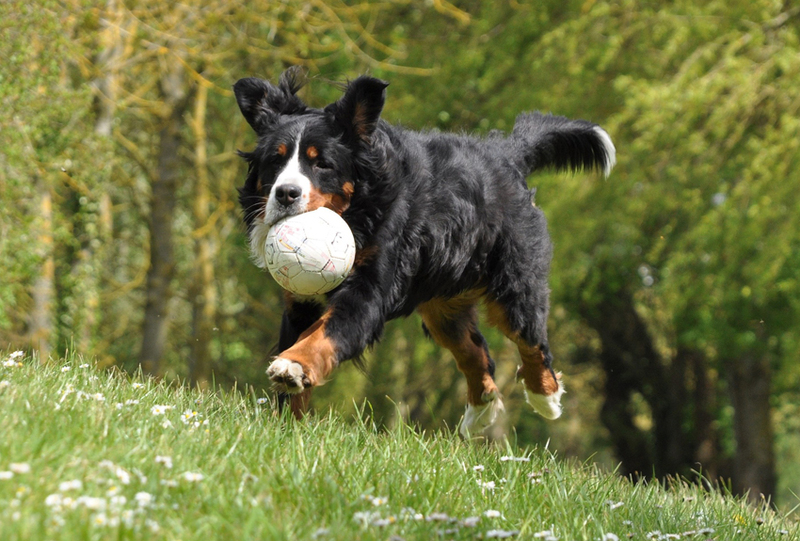 Exercise: Bernese Mountain Dog's need a moderate amount of exercise. Health: The Bernese Mountain Dogs live an average of 7-8 years. Some die younger and many live into their teens, but generally the breed is not considered to be long lived. They're also affected by orthopedic and other issues, as are most large dogs. For additional information about Health Issues In The Bernese Mountain Dog, please refer to this website www.bmdcc.ca. Maintaining and Disseminating Information about Genetic Diseases in the Bernese Mountain Dog. If you are looking to add a BMD to your family or want to check the background of your dog or a dog you are thinking of purchasing, this is one of the most important links you can view. 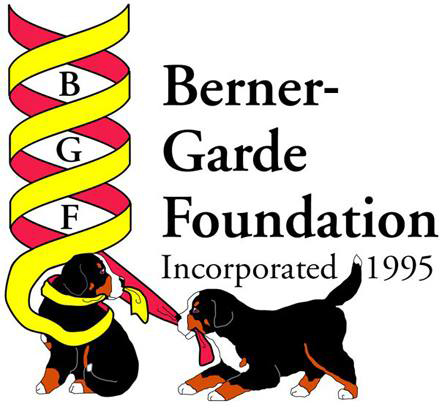 Click here to go to the Berner-Garde Foundation Website. 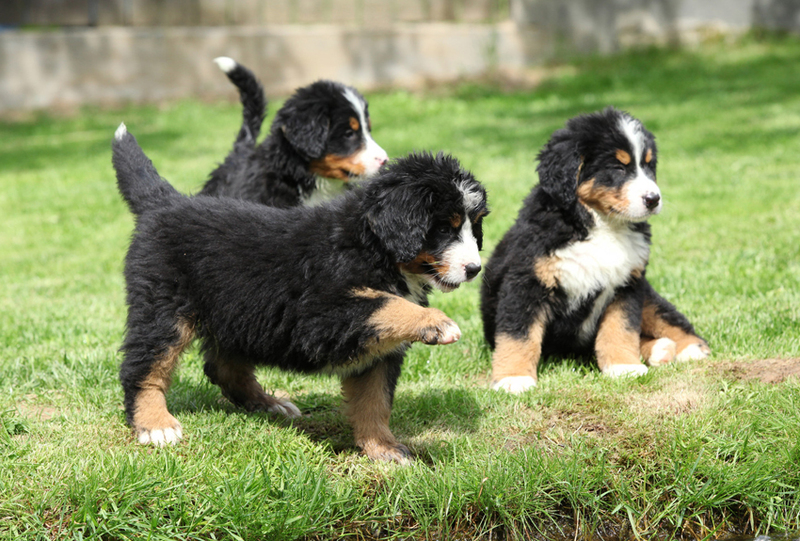 The Bernese Mountain Dog Club of Ontario works in co-operation with the Bernese Mountain Dog Club of Canada in their efforts for rescuing and placing Berners in new homes. There have been many "rescued" dogs over the past years and they are now enjoying life with new families where they are loved. Any dog that enters the rescue program is evaluated for health and temperament and suitability to their new home. Any animal placed is spayed and neutered. We have many wonderful volunteers in place to assist in these efforts that include: transportation, veterinary care, grooming and foster homes. We carefully place our rescue dogs with qualified families with the goal to ensure a Furever-Home. Assessments includes and is not limited to obedience, temperament, training, reaction to children, adults, traffic, crowds, other animals, etc. If you are interested in helping with the rescue efforts in anyway, please contact Maureen Greaves at the email link below. If you would like to be considered as a prospective home for a "rescue" Berner or if you have or know of a Berner in need of placement please send an email to: maureen@delagreabmd.com. In addition to our Rescue functions, the Bernese Mountain Dog Club of Ontario feels that one of the ways we can help prevent a future explosion in the number of dogs in need of rescuing is to educate the public to research the breed and not to buy on impulse. To this end we have displays at venues such as Pet Fairs, etc. and we are happy to answer any inquiries we receive from the public either by email, phone or mail about The Bernese Mountain Dog breed. We believe that no reputable breeder will sell a puppy to a pet store for resale. The parents of pet store puppies may not have had any health checks or been screened for genetic diseases. Certainly, the purchaser of a pet store puppy will not get any information about the parents of the dog and the dog may not have the reliable temperament that you can count on when you purchase from a breeder. Pet stores cannot provide the ongoing support and advice about a specific breed that a new owner may need and pet store prices may be just as high, if not higher, than those of a breeder. The Bernese Mountain Dog Club of Ontario wants you to have a long and happy relationship with your dog. Please do your research, attend Canadian Kennel Club dog shows, talk to breeders and owners. Adding a dog to your family is a long term commitment and responsibility - Do not buy a puppy on impulse. There are many ethical and responsible breeders in Ontario. Throughout the life of your dog they will welcome your questions, give you ongoing advice about care, and information on specific health problems to which the breed may be prone. They will be happy to let you meet the parents of your puppy and will try to be sure that your home will be a good one for a dog. They will provide you with papers attesting that your dog is a purebred and registered with the Canadian Kennel Club. We can provide a list of breeders who are members of the club, have signed our Code of Ethics, and are very knowledgeable about the Bernese Mountain Dog. After you've identified a reputable breeder and agreed that one of their puppies is for you, you need to get ready to bring your new puppy home. This is when your breeder can provide invaluable help deciding whether or not to crate, what food is best, and other items that are appropriate. Spend time to locate a good veterinarian. Having a vet that you trust can be very important if any health issues develop throughout the dog's life. Something as simple as allergies can be treated many ways and you'll want to feel confident that your vet does what is right for your dog and you. Get recommendations on a veterinarian and don't feel shy about checking them out. It could have a significant impact on the quality of your dog's life. Your breeder should take care of your Puppy's first set of shots and have had them dewormed or their stool samples tested clear. Your breeder should provide a feeding schedule and/or guidelines of what and how your puppy should be fed. Please note that puppy's stomachs are small and hence frequent (3 is typical) meals will be necessary in the beginning to avoid upset. Different breeders will vary which foods they recommend. The important thing is that it be of sufficient quality to supply the required balance and nutrients to support the puppy's development without causing problems (like allergies). The first night in your home the puppy will be missing their littermates and can be soothed by knowing that their new "family" is nearby. Trying to isolate a puppy at this age can be very upsetting and lead to sleepless nights for the rest of the household. Something that has the smell of their old home can help. 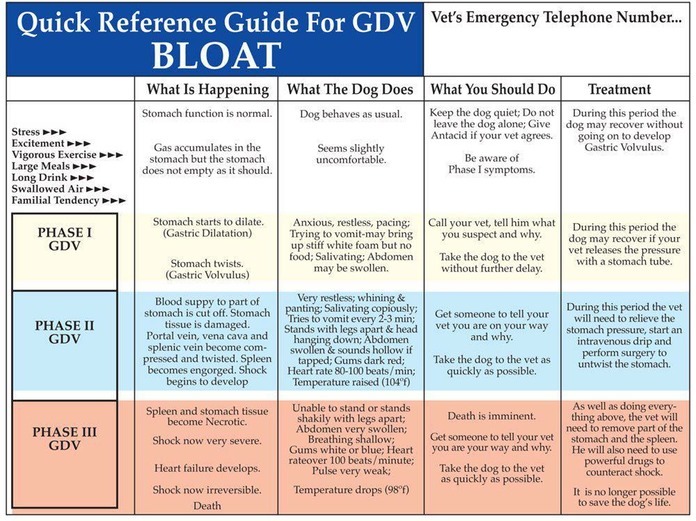 You should take your puppy to your veterinarian for examination in the first few days. In the initial visit you should establish the schedule of additional inoculations which should be in line with your breeder's recommendation. A training facility that offers Puppy school can get you & your puppy off to an invaluable start. Just as with children going to school, puppies will benefit from training. Learning some basics like sit, down, and come can go a long way to making your dog a pleasant & well-adjusted companion. Most puppy schools also allow some playtime so dog to dog socialization skills can be developed. Again take your time to find a training facility that you're comfortable with and remember that Bernese Mountain Dogs respond well to praise but can "shut down" if treated roughly or negatively. Also remember that puppies need time to develop and need to rest frequently. It takes a lot of energy to grow! Dogs need time to get the hang of house breaking and it's not unusual for dogs to have set backs up until about 6 months of age. Do not scold your dog if they make a mistake as this can lead to them seeking privacy which can be very inconvenient on the end of a leash! Praise, consistency and patience are key. Remember you may think your dog is human like, but he looks at you and thinks you're a 2-legged dog! 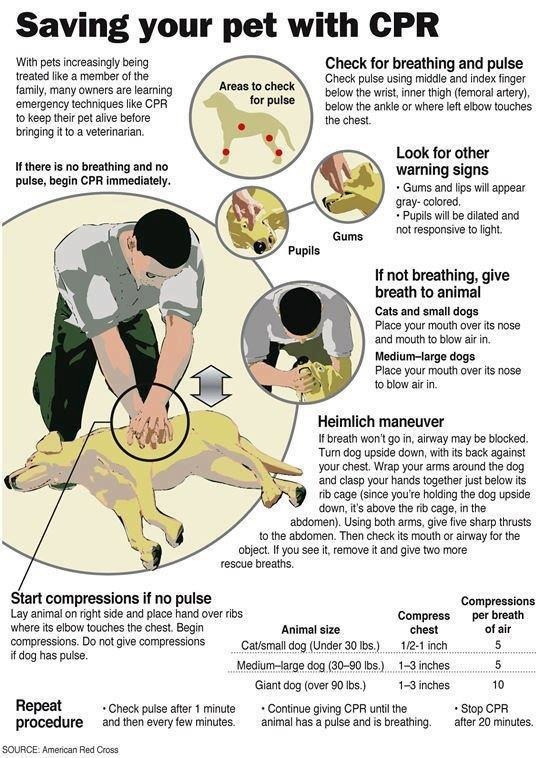 Save Your Pet With CPR! I made this web topic my own little personal project. I personally love to cook and for me it's important to know where my ingredients come from and eat as healthy as possible. I always had issues and questioned myself when I purchased dog treats since the jerky recall and thinking that I can jeopardize my dog's health by making him happy with store bought drives me crazy! By cooking my dog treats I can choose and control the ingredients for him (I personally use Organic). That's why I decided to put some of my homemade Berner Favorite treats on this site! The majority of those recipes come from my own personal research, web, friends and BMDCO members. You will see on some of them I have put my own personal tips or comments and hopefully those will be helpful. Please note that I am not a specialist or nutritionist in dog food, always consult your vet for advice. Bon appétit to our furry friends and have fun cooking for them! These feature fresh mint and parsley, plus coconut oil – they promote digestion and good breath. Begin adding all of the dry ingredients to your bowl and mix (a stand mixer or food processor is ideal). Next add the chicken stock and the melted coconut oil to the dry ingredients. Add the parsley and mint and knead until it makes a dough ball. Roll the dough to the desire thickness and cut out your cookies using any cookie cutter shape you desire. Bake at 350°F 20 minutes. If you want them harder let them cool down at room temperature overnight. I have recently visited the website and reviewed the recipes listed, as I make my own treats for Dudley pup, my 14 month old Berner. My Husband and I eat super healthy at home ourselves, so he should too! He has things he likes, and things he does not. One odd thing is he does not like peanut butter, but he likes roasted unsalted natural peanuts. This recipe should have peanut butter in it, but I omit it for him and it turns out nice. It is also super easy! I bought an extra ice cube tray for this. These are nice on hot days, and much better for them than ice cream which is full of sugar. This does not freeze as solid or cold as a regular ice cube, so there is no fear of being too cold for body temperature. Put all ingredients into a blender. Blend at high speed until mixture becomes liquid. Pour into ice cube tray; put in freezer and freeze until solid. Take out of tray as desired. You will need a butter knife to take the little treats out. I did personally this treat, what I love about it? It doesn't crumble and make perfect Dog training treat. I usually keep what I need and freeze them by batches. Mix all ingredients together and press into a greased 9” x13” pan (mixture will be stiff). Cut into narrow strips, then dice strips into small cubes. *Garlic can be toxic to dogs. The concern is typically with large quantities of fresh garlic, not garlic seasoning. Ask your veterinarian if garlic seasoning is appropriate for your pet. Or, just leave it out of the recipe. Microwave for approximately 3 minutes. Perfect for your dog Birthday party! In a medium bowl, whisk together the applesauce, water, oil, honey and eggs, then stir in the apple and cheese. Add the wet ingredients to the flour mixture and stir until just barely blended. Spoon the batter into the muffin tins, filling almost full (you may have a couple spoonfuls of batter leftover). Bake for 15 to 20 minutes or until a toothpick inserted into the center comes out clean. Let cool in the tins for a few minutes and then remove to a cooling rack to cool completely. Place the liver into a food processor. Pulse until finely chopped. If you have room, add the flour and eggs, and process until smooth. Otherwise, transfer to a bowl, and stir in the flour and eggs using a wooden spoon. Bake for 15 minutes, or until the center is firm. Cool, and cut into squares. The treats will have a consistency similar to a sponge. Mash the ripe banana in a small bowl. Grate the carrots, and mix with the banana. Pour in the applesauce and water. In a medium bowl, whisk together the flour and oats. Make a well in the center of the dry ingredients and pour in the carrot mixture. Cut out into 3 inch pieces (I used a carrot shaped cookie cutter). In a large bowl mix all the ingredients one at the time, kneading well after each addition. Once dough is well mixed roll dough into 1/2 inch balls and place them 2 inches apart onto the baking sheet. Do not freeze them cooked, they will get soggy! If you want to freeze them (3-4 dozen it s quite a lot) and there is chicken so you can not keep them more than 3 days in the fridge. What I do is I take the uncook dough and I seperate portions (to make around 8 cookies) by making a salami shape roll I wrap it in a saran wrap and freeze them. When I need them I take the freeze dough roll , slice them and cook them! Perfect and fresh each time! 1 Lb ground meat (lamb, beef, chicken, turkey) Lamb and beef tend to be higher in fat. Chicken and turkey might be a better choice for an overweight dog. Combine all ingredients in a bowl, mixing up very well. Lightly grease a cookie sheet with olive oil or PAM (very slightly). Pour Mixture onto cookie sheet and spread evenly and flatly to the sides of pan. This should be about 1/4 to 1/2 inch thick. I was personally curious about the health benefit about Parsley so I Google it and this is what I found in the majority of the websites I visit. Parsley protects the liver and the intestines against cancer. It's also an antirheumatic, stimulant of digestion, of kidneys, eliminating toxins and kidney stones. Roll mixture into 24 balls, using about 1 tablespoon dough for each; transfer to a large parchment paper- lined baking sheet as done. Bake for 40-45 minutes, or until firm and deep golden brown on the bottom. Set aside to let cool completely. Grease a muffin pan or a baking sheet. Fill each muffin tin with about 1/4 cup of the mixture, or form the mixture into 10 balls and place on the baking sheet. I thought 8 eggs was a bit much (Good morning Cholesterol!) So what I do is I use 2 whole eggs and the rest with only the white. I buy the egg white in a box. easy! On two ungreased baking sheets, pat the mixture down. Bake for 50-60 minutes, take them out of the oven and let cool completely before serving. Cut them into the size of your choice for your favorite pup! Cinnamon is good for dogs with arthritis or diabetes! It's good for your dog's heart because it improves circulation. It has anti-inflammatory properties which helps relieve pain in your dog's joints. Cinnamon also helps regulate blood sugar and lower cholesterol levels. If your dog is diabetic, this is the perfect treat for him. Refrigerate dough for 1.5 hours or overnight. This recipes is the top of the top, I am telling you, you will need patience and a bit of equipment (a Jerky gun is required, bass pro in Vaughan do sell them for cheap) but your dog will be completely Crazy! But do not hesitate to do this recipes even if you don t have a jerky Gun or dehydrator see below for my own experience. Chop the liver into pieces. Mix it in with the ground meat. Scoop the meat into the jerky gun (if you have one) and squeeze the meat mixture on the sheets of your dehydrator (if you have one). Set dehydrator at 165° for about 3-4 hours, or until the meat is dry and crunchy. Bake at 250°F for 4-6 hours. Then you can cut them in Jerky strip roll. Work done! Slice the breast very thinly. Below is a list of our membership and application forms. Just click on the form that you need to download it.